Living in our dream home is something that many of us would love to achieve, but may fear it’s an unrealistic fantasy unless maybe we are lucky enough to hit the lottery. That’s not necessarily the case. Dreams homes—or a home that closely resembles that vision—aren’t only for the super wealthy and business moguls. 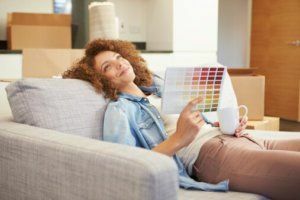 If you really think about your idea of a dream home, there are likely several specific elements that really stand out in your mind. These may be focal points, such as a sparkling pool or a grand entrance. Or perhaps it may be a certain design style, such as modern and super-sleek. Maybe it’s just something general like spacious rooms and massive closets. Whatever those particular elements may be, they likely don’t require a total overhaul of your entire home. You can zero in on a certain room or design elements that can be addressed with a carefully planned home renovation project. By narrowing the scope of work involved you can better estimate the costs and keep a lid on the budget. While ambitious projects will obviously require a more generous budget, even impressive ideas can often be brought to life in a more budget-friendly way. There are often a variety of ways to achieve a certain desired look or feel using tactics at varying cost levels, to fit into different budget ranges. A common strategy is to identify more reasonably priced materials or design elements that closely resemble high-end options. Chances are, few people would be able to notice the difference and you can still get the basic effect you are seeking. Or you can splurge on a few high-priority, attention-grabbing items and go with more affordable items for the rest of the project. It can be helpful for you to really put a lot of thought into exactly what aspects of the dream home are most important to you and will make you happy, and then list other items where you are more flexible and open to considering more budget-friendly alternatives. RW Remodeling has experience in performing successful dream home remodeling projects for many clients at a wide range of budget levels. We would be happy to brainstorm ideas to give you the look and feel of a dream home on a real-life budget.